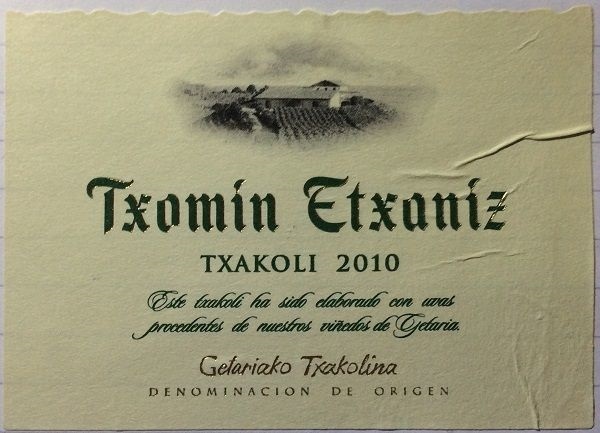 A great introduction to Txakoli – the (Spanish) Basque classic. This white Txakoli could be best described as either an appley equivalent of an Albariño, or perhaps a richer Muscadet Sur Lie. Either way, taking the best of both, and adding its own accent – and not just the spelling! Pale lemon, with clear spritz, that lends refreshment and lightness to the palate – à la Muscadet. Medium+ intensity, slightly bready, brioche and yeast notes over lemon and almost bruised sweet apples. Touches of almost sweet spice come and go. Fresh and crisp, but with less harsh acidity than I’d been led to believe. Slightly softer than some of the crisper, ‘harder’ Albariños. Minerally undertow in the medium+ finish, with lemon emerging. Medium-bodied, with medium+ flavour intensity. Good.